During 2014-15, Fabindia marked a 12% rise in consolidated sales at Rs 1,148 crore with 36% increase profit before exceptional items at Rs 112 crore. Its domestic business grew 25% to touch Rs 767 crore ahead of largest fast-fashion brand Zara that clocked sales of Rs 720 crore during the same period. William Bissell, managing director at Fabindia said that customers are moving to one of two responses to retail. Either they are responding to products as commodities, or investing in curated products and experiences. He also said that company will continue to focus on the quality of design and curation, which runs more than 205 stores in India. The company also attributes its success to a policy of no discounting and builds a sustainable cash flow.Fabindia was founded in 1960 by Bissell's father John Bissell to market craft traditions of India. 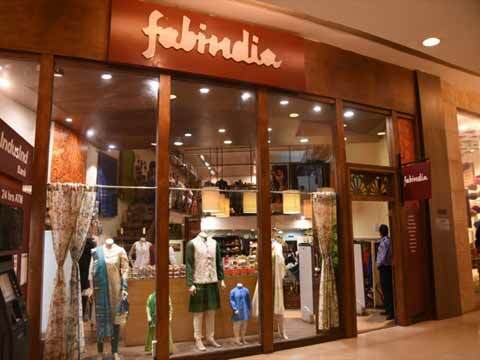 Fabindia started out as a company exporting home furnishings. The first retail store was opened in Greater Kailash, New Delhi, and 15 years later around in mid 1990s, William Bissell took over the company. Fabindia added the non-textile range in 2000, while organic food and personal care products were launched almost a decade ago. Experts said the brand, which has expanded its identity over the years, has been well accepted by younger consumers since the last decade. A new development in the category earlier largely catered to older buyers. Devangshu Dutta, chief executive at retail consultancy Third Eyesight said that the brand has been consistent to its core and they have been adding newer categories to remain relevant and also earn higher margins. The challenge is to continue the momentum since brand sourcing is dependent on thousands of craftsmen, instead of few large manufacturing units. Ethnic wear, a segment still mostly fed by the un-organised segment, has been growing at an average of more than 10% a year over the last decade. Incidentally, leading department chains such as Shoppers Stop, Lifestyle and Westside are expanding the width of their private label range and offering contemporary styling in the ethnic space, fuelling growth. The ethnic wear segment is also seeing a lot of aggressive expansion from newer players both in online and brick-and-mortar space, something that could hurt Fabindia's growth prospect going forward. For example, Kolkata based Manyavar had just one store till 2008, but today it has more than 400 stores across the country and is expanding its portfolio from wedding and special occasions to everyday clothing. In comparison, Fabindia opened eight stores last fiscal and has added 14 doors in the current financial year. As per trusted sources, the private equity arm of Louis Vuitton Moet Hennessy (LVMH) plans to sell its 8% stake to Fabindia.